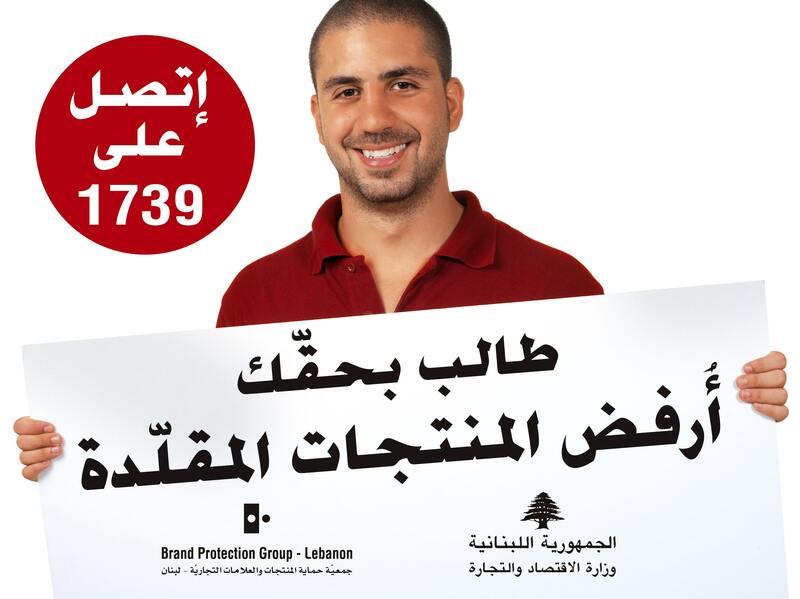 BPG launched a full, nationwide awareness campaign in October 2005 under the message "Ask for your right. Refuse Counterfeit products", exposing the relatively unknown issue of counterfeit to the general public. The campaign started with a teaser, and kicked off to national coverage which included everything from the distribution of promotional products by specially trained BPG personnel to special press events. 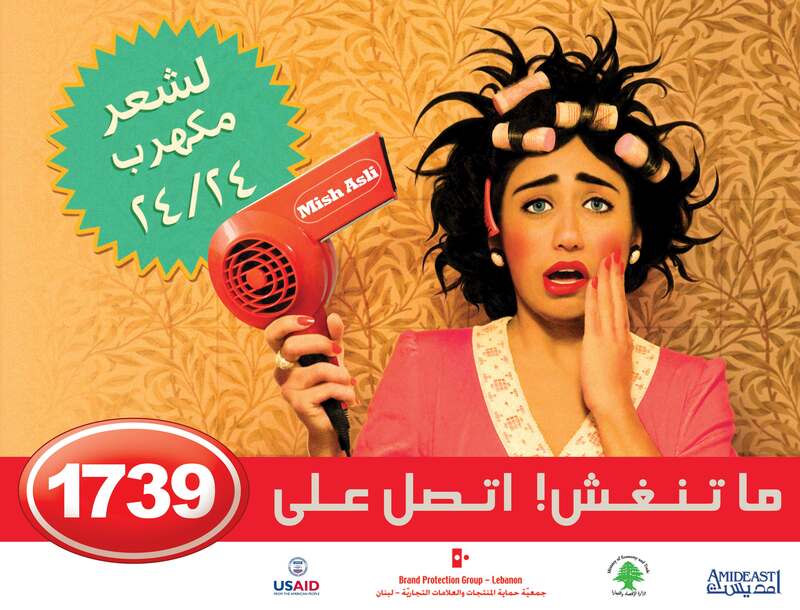 It even became the hot topic of debate on Marcel Ghanem's "Kalam el Nass".
? "Even the Closest Things to You Might Be Fake. 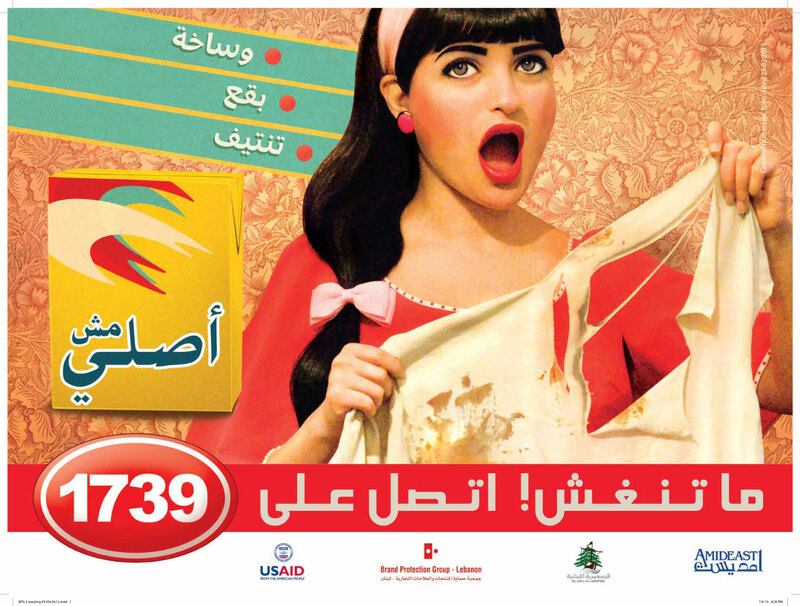 Refuse Counterfeit Products Call 1739"
BPG website received the 2008 Golden Pan Arab Web Award in the Non-Governmental Organizations category during a Ceremony held in Dubai on April 26, 2008. The Pan Arab Web Awards has been established as a premiere platform to recognize excellence in web design, development skills and creativity in the Pan Arab Region. The Award is given annually to honor leading websites and interactive agencies in several categories, recognizing excellence in web design, development skills and creativity in the Arab World. The BPG website, that was developed & designed by the company Cleartag, is among other important communication tools created by BPG to raise awareness around the issue of counterfeited products and the socio-economic impact on business, consumers & country. The website that is easy to use provides useful information on the activities that BPG and its government partners are running to fight the spread of this phenomenon in our area. 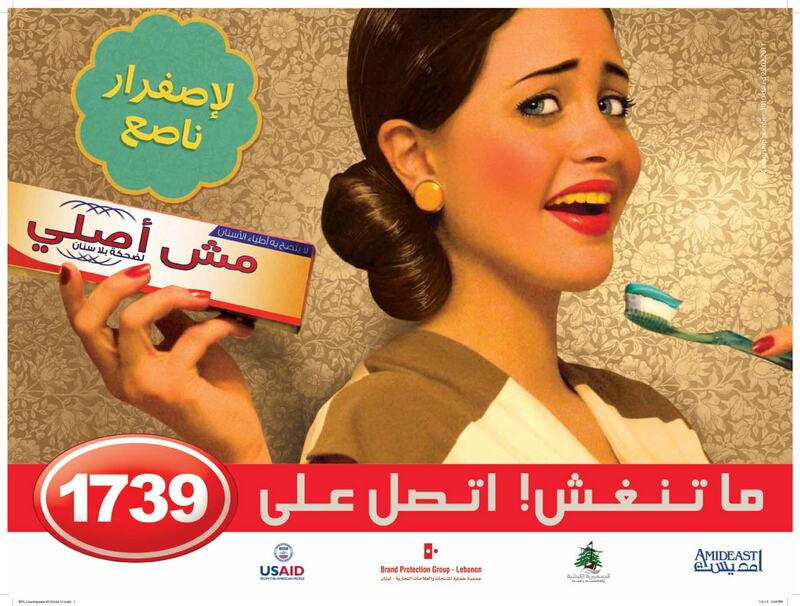 Once again, the name of Lebanon is shining! 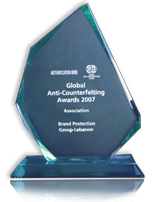 The Brand Protection Group (BPG), an association launched to fight counterfeit in Lebanon, was honored with the Global Anti-Counterfeit Award.